Many people are taught to brush their teeth as children, but over time people tend to forget or due to laziness tend to have bad etiquette, and thus lack dental hygiene. However, it’s crucial to have good dental hygiene since your teeth are the only set of teeth you’ll have in your lifetime. In fact, your teeth are essential for breaking down your food into smaller pieces in order for it to be ingested. If you lack dental hygiene, it’s likely you’ll experience pain while eating dense or solid foods. 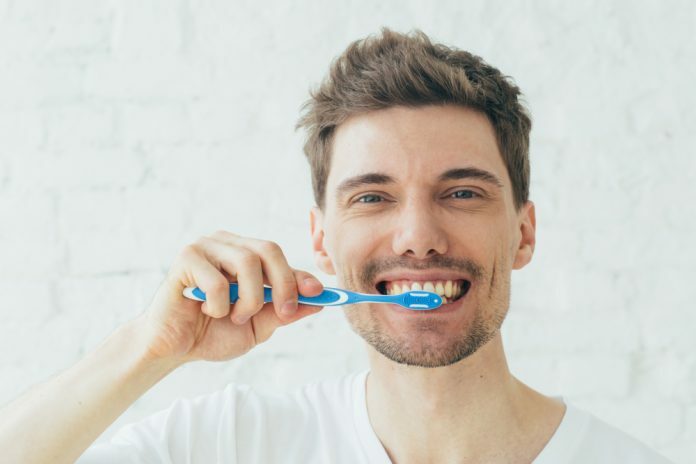 Although the best way to patience good dental hygiene is brushing your teeth twice a day, what is some other tips that can improve a person’s dental hygiene? As it was stated above, it’s suggested that anyone that wants to improve their dental hygiene brush twice a day: morning and night. However, some people brush in the morning and forget about the brushing that’s needed at night. While brushing in the morning is good practice it mainly eliminates bad-breath that’s accumulated during the night. Although, brushing at night is extremely important if you want to avoid cavities, since brushing at night helps remove small pieces of food, germs, and plaque that collect in between your teeth during the day. 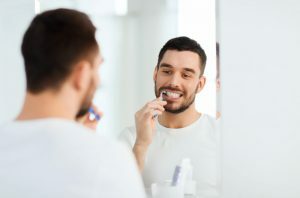 Thus, brushing before bed allows a person to remove all the unwanted particles so that it doesn’t cumulate and hinder a person from doing a daily task such as eating or speaking. Therefore, brushing your teeth before bed is needed if you want strong, healthy teeth that will last you your whole life. Many people were taught how to brush their teeth when they were children; however, due to the level of intensity and speed in which they do, it can hinder their dental hygiene as adults. To correctly brush one’s teeth, you should take the toothbrush and move in circular motions to get rid of plaque and any germs. Moving your toothbrush too fast across your teeth can result in inadequate brushing. Some people may experience bleeding in their gums if they brush too hard. Brushing your teeth shouldn’t be painful, and while it’s not necessarily a pleasant experience, you should at least try and take your time. To get the best results to try and remember a quick tune while you’re brushing your teeth, so you’re not rushed to finish, but you can also have a fun time too. Therefore, it’s crucial that your brush your teeth correctly in order to have good dental hygiene. Many people skip over the tongue when brushing their teeth; however, the tongue can produce plaque and other germs just like your teeth. In fact, people who have skipped over their tongue when brushing their teeth have experienced bad-breath. Additionally, if a person were not to clean their tongue, it can cause oral health issues. It’s crucial that when you brush your teeth that you clean your tongue as well. In addition, some toothbrushes have on the back a tongue cleaner or scraper. However, keep in mind that not all toothbrushes have this element. Also, depending on where you buy the toothbrush and what brand it might be more expansive to purchase a toothbrush with a tongue cleaner. Fluoride toothpaste has been controversial for its use in households, but there is not a toothpaste better than one containing fluoride. Fluoride is known in the dental industry to be the primary protection against tooth decay. In fact, fluoride ensures that teeth will be protected by fighting against germs that would later decay teeth as well as laying down a foundation of defense in the form of a barrier. Thus, fluoride provides teeth with protection which allows teeth to be healthy and strong. Using fluoride as your everyday toothpaste will not only enhance your protection from tooth decay but will also improve the nature of your teeth. Therefore, using a fluoride toothpaste is a great way to improve your dental hygiene. to get rid of any small pieces of food in between your teeth but also is a perfect way to increase nervous activity in the gums as well as decrease inflammation and diminish plaque and other unwanted particles. 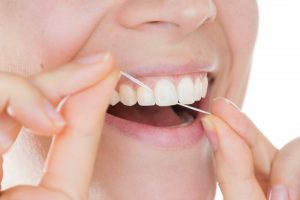 Additionally, for some people who have a difficult time flossing, there are ready-to-go flosses that are cost-effective and easy to use. In fact, these ready-to-go flosses are perfect for traveling. However, some people prefer the old fashion floss that can be used and discarded within a matter of minutes. Therefore, flossing in addition to brushing your teeth helps towards your overall dental hygiene. Some people see mouthwash commercials and believe they should use mouthwash since it’s marketed as a product you need in order to maintain good dental hygiene. However, for mouthwash to work as it’s directed to, you should only primarily use it if you’re a child or an older adult. While adults can experience some benefits from mouthwash; although, if you brush your teeth twice a day and floss you don’t exactly need to be using mouthwash. Mouthwash is targeted to do three primary aspects: decrease the quantity of acid in the mouth, clean places in the mouth that a toothbrush might miss, and remineralize the mouth. Most if not all the three aspects are accomplished with proper brushing techniques and flossing. But for children and older adults who might find difficulties in flossing and brushing correctly, mouthwash is a great alternative. There are even mouthwashes specifically for kids which specialize in what kids need to protect their teeth at a specific age. Therefore, children and older adults benefit the most when using mouthwash to improve their dental hygiene.